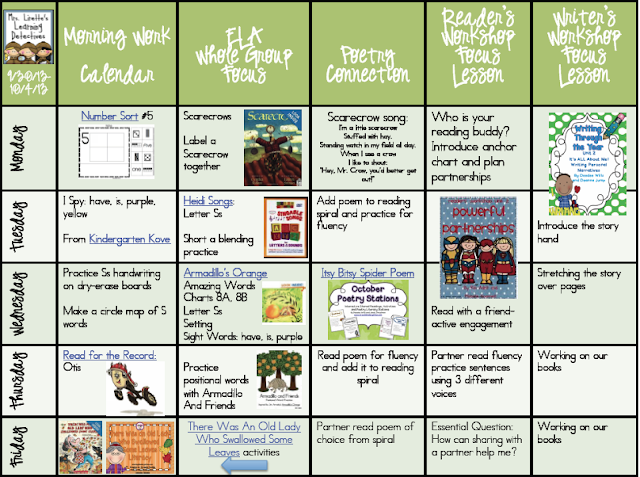 Mrs. Lirette's Learning Detectives: Weekly Visual Plans! This is our last week before we get 5 days off for Fall Break- WHO-HOO! 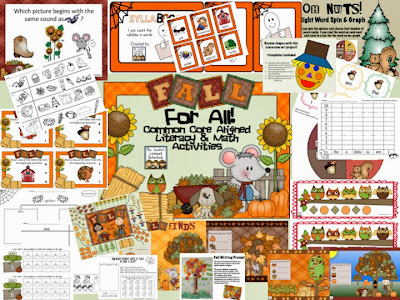 I will be incorporating many fall activities this week- many of which come from my Fall for All! pack. It is on sale for the next few days! 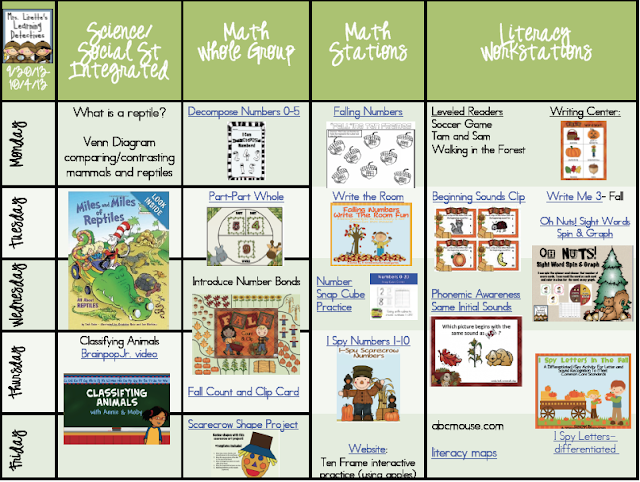 Weekly Visual Plans, Sensory Fun & a Mm Freebie!